Ovation credit repair offers a chance for people to repair their credit reports in an effective and easy way to enable them to achieve optimal profiles for their credit. This means that Ovation takes action by working with the different creditors available to resolve any issues that may be present so as to update information and remove any mistakes that may be present. This makes it possible to correct any possible mistakes through effective disputing of any discrepancies and eventually improving customer credit reports. This Ovation credit repair review aims at looking at the different services and features that Ovation offers that sets it apart from its competitors in this sector. Ovation credit repair does not charge its customers any monthly fee until all the agreed upon services for that particular month have been completed and verified by the customer to avoid any lagging of services. The company offers competitive prices for its customers that enable the company to cover all the costs incurred in this process. After signup, $89 is charged as a beginning fee after which the customer will not pay any additional funds for that entire month. After the first month, the customer will then be charged $49 monthly for the Essential Services package that the company provides. Such services include the disputing of discrepancies that the customer has chosen and access to the customer’s personal Case Advisor and Analyst. Another important service that Ovation offers is online access to the information in the case as well as the status of the case to the customer. This enables the customer to check any changes or new data updated on the site that pertains to the case. The company also offers a different package for its customers that may also require extra services. The $69 Essential Plus package allows the customer to have features such as credit monitoring that monitor the credit status of the customer, goodwill requests as well as validation challenge letters. Apart from that, Ovation also offers additional attractive discounts for groups such as couples, seniors, and military members. Members of the military and senior citizens receive a discount of 10% on any of their monthly plans while couples are entitled to a 20% discount on their monthly billing. These incentives are aimed at attracting more of these groups to take up the services of the company and enjoy the benefits. On the other hand, an extra $25 paid during sign up gives the customer a fast track service that enables the customer to be signed up and set up on the same day. Additionally, another $25 paid on signing up also enables the customer to have his identity optimized by Ovation. This means that the customer’s personal information in his/her credit report is analyzed and any errors are disputed by the firm. Ovation offers an easy to use service that almost any person can be able to use and operate. The company offers the free consultation to any potential customer that is willing to use the company’s services and guides them on the steps to take while on the site. This enables customers to make the correct choice before beginning the entire process to prevent any future problems that may arise. After a potential customer has signed up on their site, Ovation is then able to help the customer to acquire a credit report if he/she is unable to find one. Afterward, the information in the credit report is then uploaded into the customer’s case file on the site. This enables both Ovation and the customer to view all the items that may have discrepancies to determine the next course of action to be carried out. 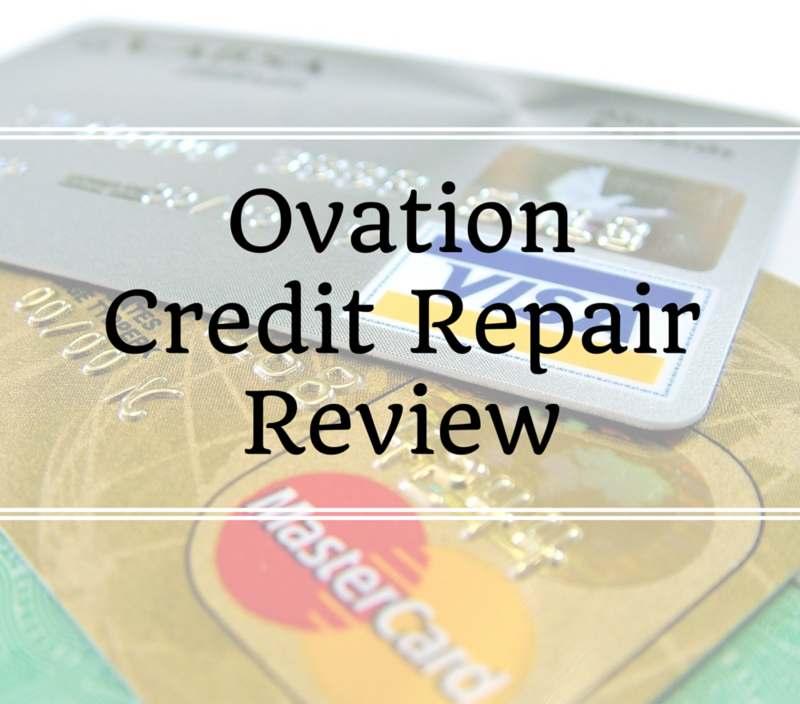 After selection of the discrepancies, Ovation then sends letters to the credit bureaus disputing the selected discrepancies in the customer’s credit report. This gives the credit bureaus one month to authenticate the information being contested and investigate all claims present. Therefore, when the credit bureau cannot authenticate the discrepancies brought forward by Ovation, then it is mandatory that the information is removed from the customer’s credit report. The ovation was founded by a group of lawyers who run the activities in the firm. The company was started in 2004 and has been accredited by the Better Business Bureau (BBB) as A+. Throughout its actions, the company puts effort to provide transparent services to its customers. 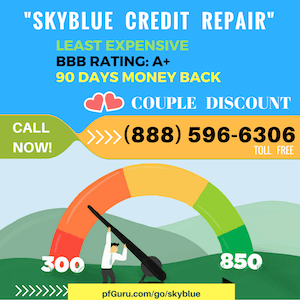 This means that the company gives customers all information pertaining to the rules and regulations that govern credit repair in the country. By providing this information, a customer is able to see all the steps followed in the whole process right after it begins. Ovation offers one of the best customer services in this industry through their dedicated phone numbers. The downside to this is that the company does not have an online chat platform to serve its customers. However, the phone service available from Monday through Friday enables all the issues raised by customers to be addressed within the shortest time possible. Additionally, there are also email addresses available to cater for each issue that a customer may raise. The customer care representatives are helpful in most cases and friendly and are always eager to give advice on matters concerning Ovation. The firm is well regarded due to its customer service reputation hence giving it an upper hand with its satisfied customers. Price: $49-$89 depending on plans. Guarantee? Ovation credit repair does not charge its customers any monthly fee until all the agreed upon services for that particular month have been completed and verified by the customer to avoid any lagging of services. Phone Number: call to talk to a live person. from 9 a.m. to 5 p.m. on weekdays. Apply: Visit Ovation Credit Repair website here. 1. Low price – simple plans. The above Ovation credit repair review shows that the firm offers some of the best features in very affordable packages. The track record for services offered by the firm is great with over 100,000 credit profiles corrected and its accreditation proves that the services it offers are well regulated and of the best quality. This, therefore, ranks the services among the top in the credit repair industry. With a mobile friendly website, extensive research involving issues of consumer credit laws and credit bureau tactics, the firm has made the whole process basic and effective in tackling issues involving bad credit reports. Additionally, their free consultation ensures that the customer gets exactly what he/she was planning for before making any choices regarding their credit reports. With the staff in the company having exceptional credentials, an excellent relationship with the Better Business Bureau, great service delivery and customer satisfaction, Ovation sets itself apart from others. Let us share your experiences with us about Ovation Credit Repair Service.